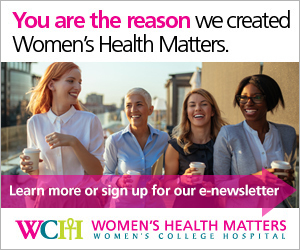 Women's Health Matters - Take the nutritious jump before the baby bump! Take the nutritious jump before the baby bump! Eating a well balanced diet during preconception (three months before pregnancy) is important to help have a healthy pregnancy. Preconception is an important time and it is vital to get certain nutrients to ensure the healthy growth and development of your baby. Women who are within childbearing age and thinking about becoming pregnant should consider adopting a healthy balanced diet and following an eating pattern based on Canada’s Food Guide. Incorporate a variety of vegetables, fruit and whole grains, while limiting added sugars and processed foods. Folate (folic acid): Folate, also called folic acid, is a B vitamin that helps reduce the risk to your baby of developing a neural tube defect (NTD) such as spina bifida. Folic acid supplementation is critical in preconception because the neural tube (which forms the brain and spine) forms within the first 12 weeks of pregnancy – before many women know that they are pregnant. Since many pregnancies are unplanned, women of childbearing age are recommended to get a daily supplement of 400 micrograms (mcg) of folic acid and ensure regular dietary sources such as dark green vegetables (broccoli, spinach, peas and brussels sprouts), corn, dried peas, beans, lentils, oranges, and grain products fortified with folic acid such as bread and pasta. Some women may need even more folate (e.g. if you have a family history of NTD, or certain health conditions such as epilepsy or diabetes), so ask your doctor or nurse practitioner about your folate needs before planning a pregnancy. Iron: The preconception period is a good time to ensure you have good iron stores going into pregnancy. Women need more iron during pregnancy (see below) to avoid anemia and to help the baby develop. Women who are trying to get pregnant should get 18 milligrams of iron daily (the recommended dietary allowance). Ensure two Food Guide servings a day of meat or meat alternatives (such as beans, lentils and tofu), as well as vegetable sources (such as cooked spinach, tomato sauce/paste, asparagus, potato with the skin on) and grains (enriched cold cereals, whole grains such as amaranth, quinoa and barley, and whole wheat pastas and breads). Vegetarians require more iron (about 32 milligrams, or 1.8 times higher than the recommended amount) because iron found in vegetarian sources is not absorbed as well as iron from meat, poultry and fish. To help increase absorption of iron, include sources of vitamin C with iron-rich foods. Calcium: While calcium needs don’t increase during pre-conception and pregnancy, it’s still important to get into the habit of having adequate calcium (two Food Guide servings of milk or milk alternatives daily) to protect your own bones during pregnancy and for the longer term. Fish: Fish help provide omega 3 fatty acids that help with the brain development of the baby. It is recommended to eat 150 grams per week (or two Food Guide servings) of low-mercury fish such as salmon, trout, herring, haddock or sole. When selecting tuna: choose “light” tuna because it is low in mercury, and limit your intake of “white” or Albacore tuna. What about when I become pregnant? When you become pregnant, there are additional considerations. It is recommended that women who are pregnant take a multivitamin (a “prenatal vitamin”) that contains both the 400 micrograms of folate, as well as 16-20 milligrams of iron. The iron from the multivitamin is required in addition to the iron a pregnant woman is getting from her diet (see dietary iron sources above), because women’s iron needs increase to 27 milligrams per day during pregnancy. There are also considerations regarding food safety to prevent foodborne illness. Check out Health Canada’s Healthy Pregnancy and Public Health Agency of Canada's The Healthy Pregnancy website for more information.